Several cases of norovirus have been reported in both Putnam and southern Dutchess counties. The Putnam Bureau of Emergency Services notified all fire and EMS personnel Sunday that the Birch Unit at Putnam Ridge Nursing and Rehabiliation Center in So… Please login below or purchase a subscription to the Putnam County Courier to access this content. Andrew Wyda displays his piggy bank earnings that were turned over to the JFK School cafeteria fund last week. Photo By Eric Gross Andrew Wyda realizes that everyone needs a full belly to learn. The 7-year-old second grader at the John F. Kenne… Please login below or purchase a subscription to the Putnam County Courier to access this content. 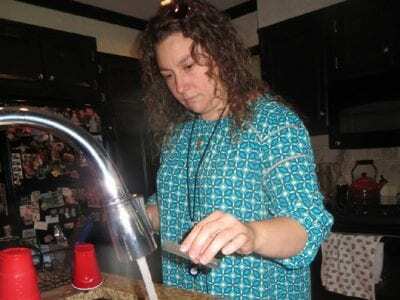 Putnam County Public Health Technician Lesliann Piraino tested the water coming from a faucet at a residence on Glenvue Drive in Carmel last summer. 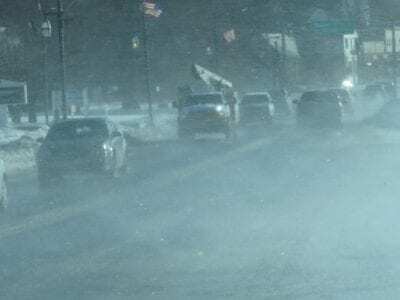 Photo by Eric Gross Residents of the hamlet of Carmel are being encouraged to attend tomorrow’s (W… Please login below or purchase a subscription to the Putnam County Courier to access this content. Joseph Castellano and Toni Addonizio will lead the Putnam Legislature in 2018. Photo by Eric Gross The Putnam Legislature conducted its annual organizational meeting last Tuesday evening before a sparse audience at the historic Putnam Courthouse. … Please login below or purchase a subscription to the Putnam County Courier to access this content. Thru Feb-Jean Tock photos of China on display at Mahopac lib. More info: 845-628-2009, ext 108, MahopacLibrary.org Tues Jan 9-10:30am- Kindermusik at Patterson Lib. More info/reg: pattersonlibrary.org, 845-878-6121 x10 Tues Jan 9-10:15am : Brea… Please login below or purchase a subscription to the Putnam County Courier to access this content. Two exciting programs are being offered this month by Putnam Cornell Cooperative Extension. The first is a Junior Master Gardener series involving eight sessions over a two year period. Program director Pat Madigan said at the end of each session a c… Please login below or purchase a subscription to the Putnam County Courier to access this content. Community Grief Workshop – “Dealing with our grief, support and boundaries” is the subject of this free community workshop given by First Hebrew Congregation, facilitated by Rabbi Pamela Wax. RSVP to 914- 739-0500 or fhc@firsthebrew.org. The workshop… Please login below or purchase a subscription to the Putnam County Courier to access this content. Jimmy O’Neill, founder of the Putnam Chapter of the Fraternal Order of Police, who died suddenly in 2016, was a man who loved giving back to his community. Six months before his untimely death, O’Neill initiated a beefsteak dinner where members of th… Please login below or purchase a subscription to the Putnam County Courier to access this content. The acts have been selected. A few tickets remain for the Brewster Education Foundation’s Brewster’s Got Talent show scheduled for next Friday evening, January 19 at 7 pm. Students and adults alike will perform at the BHS Performing Arts Center for … Please login below or purchase a subscription to the Putnam County Courier to access this content.